Enjoy the inspiring espresso of Julius Meinl. 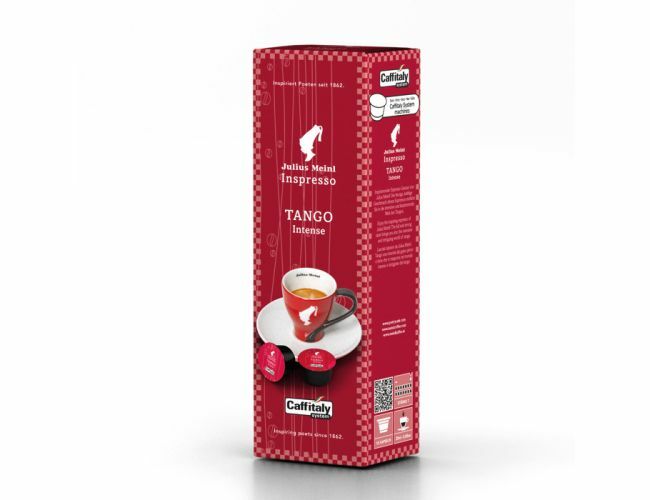 The full and strong taste brings you into the intensive and intriguing world of tango. My favorite capsule. I love Meinl coffee and am so happy that it comes in capsule form. It reminds me of wonderful times sitting in the cafe in Vienna. Perfect as espresso or 8oz. cup. One of the best choices. This variety is aptly named, intense and bold. Unlike the Symphony or Cafe Crema capsules, I get a consistently good espresso shot with the Tango. Just replaced my CBTL unit for the S05 Model purchased from Canada, Bolder machine and built much better than the CBTL Americano model. The Tango capsule is among my favorites! 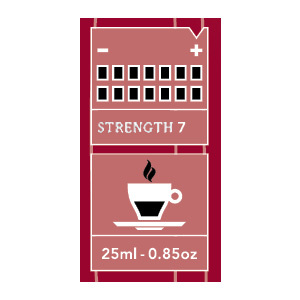 I now hope that we will be able to obtain a strong decaf version for the Caffitaly system! Excellent choice for espresso or 8 oz coffee. Since I discovered this capsule ( and Caffitaly system) I started enjoying my daily coffee again (which I stopped doing couple of years ago). For best aroma, make sure that coffee machine is turned on ~10 min before making a coffee and give capsule gentle squeeze with fingers on top and bottom, simultaneously. Really good and strong espresso. Will make a great 8 oz. cup or use for cappuccino. 2X shot espresso also excellent.